Woody maybe be off to college with Andy, but this large Toy Story Combo C7 is perfectly suited for young visitors. Kids adore jumping alongside their favorite Sunnyside Daycare characters, for hours of interactive fun! 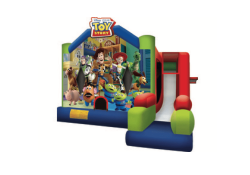 All the classic Toy Story characters are featured on the beautiful artwork panel of this jolly jump, including Woody and Bullseye, Jessie, Buzz, Hamm, Rex, Slinky and the squeeze toy aliens, all ready to play. 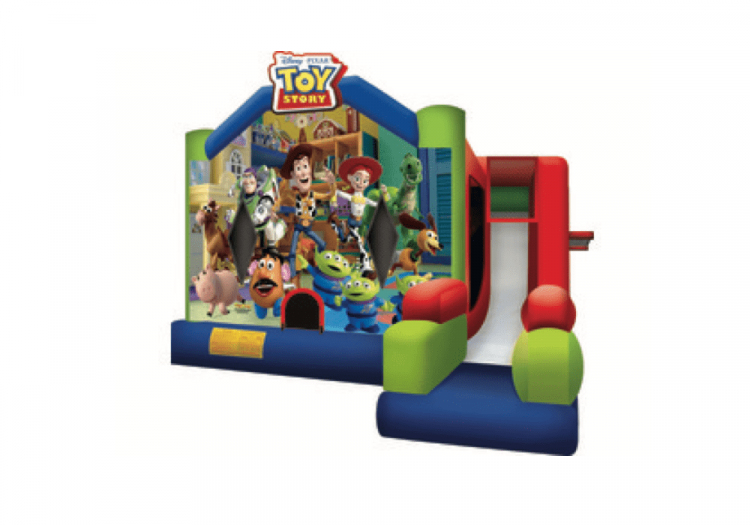 This large jolly jumper is part of an exciting line of licensed Toy Story inflatables products from Let’s Jump. 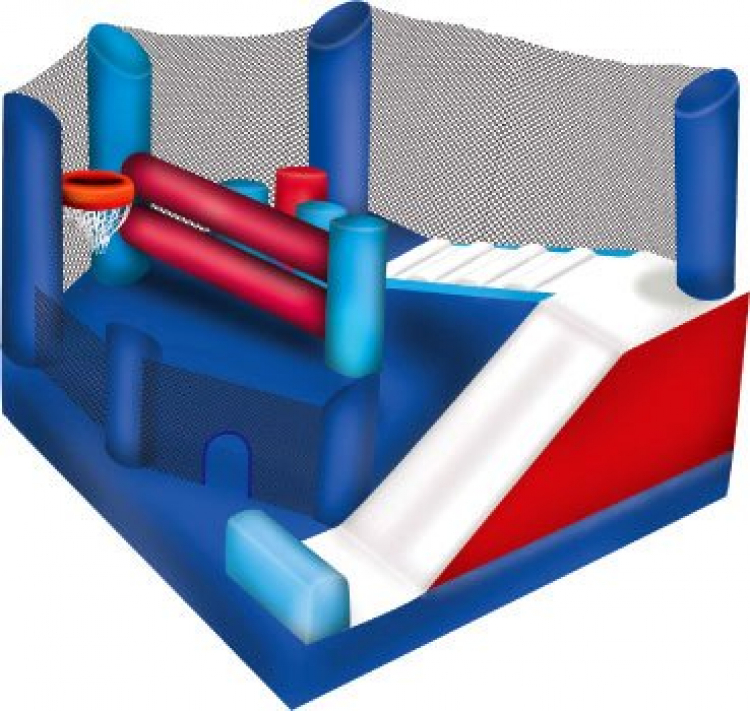 This combo has a large jump area, pop up obstacles, a climb and slide and 2 basketball hoops (1 inside & 1 outside).